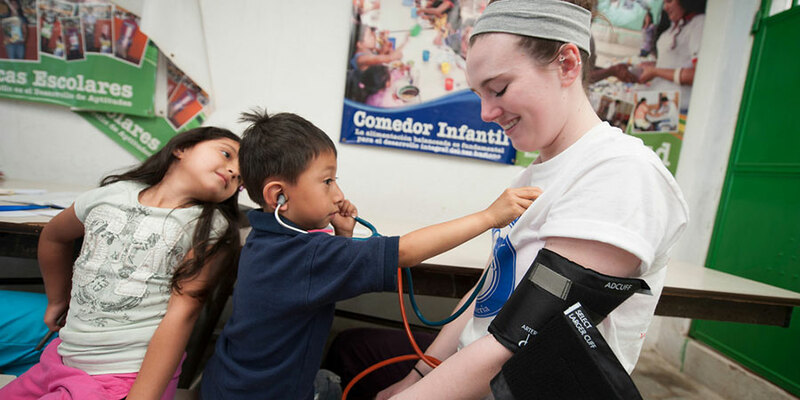 Westfield State University nursing students participated in an international public health mission to Santa Maria de Jesus, Guatemala in March 2014. Massachusetts is the first state in the nation to make Civic Learning a goal for all undergraduates in public higher education and the first state in the nation to establish a shared goal of Civic Learning for K-12 and public higher education. In May 2014, the Massachusetts Board of Higher Education (BHE) adopted a state policy on civic learning for public colleges and universities and committed to work with the Commonwealth’s community colleges, state universities and University of Massachusetts campuses to incorporate civic learning as an "expected outcome" for undergraduate students beginning in the 2014-15 academic year. The policy defined civic learning as the acquisition of the knowledge, the intellectual skills, and the applied competencies or practical skills that citizens need for informed and effective participation in civic and democratic life. It also means acquiring an understanding of the social values that underlie democratic structures and practices. The Board stated that the development of detailed outcomes within each of the four components contained in this definition (and the academic coursework, co-curricular activities and off-campus civic engagement to achieve them) should be left to the individual campuses. 1. Attention to civic learning as a goal in campus strategic plans. Since 2014, board review of campus strategic plans now includes attention to a commitment to civic learning. 2. Facilitation and support for campus work in civic learning through conferences and meetings to share best practices and provision of funding for campus projects. Faculty, staff and administrators are meeting regularly to discuss both how to facilitate Civic Learning for students and how to track this critically important work on the campuses. Since the 2014-2015 academic year, the DHE has sponsored a statewide conference on Civic Learning for faculty and administrators of public colleges and universities, drawing between 100 and 150 people each year. In addition, many campuses have organized their own workshops, and the Director of Civic Learning and Engagement is available to meet on campuses to lead discussions on this work with faculty, staff, and administrators. 3. Development of new ways to measure and report students' civic learning outcomes. Since 2014, work to measure student civic learning has taken two forms. Civic Learning with Engagement Required: Courses in which all students are engaged in Civic Learning work beyond the classroom. Civic Learning with Engagement Optional: Courses in which students can choose between a Civic Engagement project or placement and another project of similar weight which does not require Civic Engagement but does have a Civic Learning focus. Civic Learning (without Engagement): Courses which simply focus substantially on the knowledge, intellectual skills, practical skills, and/or values involved in informed and effective participation in civic and democratic life. Not Applicable: Courses which have been reviewed and do not have a substantial Civic Learning focus. Not Reviewed: This designation will be the default for courses not yet reviewed. The DHE has worked with two committees of national experts to draft rubrics which can be used by faculty to assess two domains of civic learning demonstrated by students in their work—civic knowledge and civic values. These rubrics, similar in form to the AAC&U VALUE rubrics, await testing and final revision; they are available for field testing here. Civic Skills may be assessed through several of the AAC&U VALUE Rubrics, especially the Civic Engagement rubric. 4. Collaboration with the Department of Elementary and Secondary Education to develop a cross-sector plan for civic learning from kindergarten through college. In January 2016, the Board of Higher Education and the Board of Elementary and Secondary Education both voted to add Civic Preparation to their pre-existing Joint Agreement on College and Career Readiness, thus making Massachusetts the first state in the nation to frame civic learning as a goal for public education from K through 16. In 2018, the Department of Elementary and Secondary Education (DESE) released a revised History and Social Science Curriculum Framework that emphasizes civic education throughout grades K-12 and requires a new year-long Civics course in grade 8. The DHE is now working with DESE to plan how K-12 education in Massachusetts can coordinate its work on Civic Learning with the ongoing work in higher education. The DHE is exploring external funding sources that would allow it both to build its own capacity to support Civic Learning on the campuses and to provide funds directly to campuses to build their own capacities. These explorations have led to partnerships with the Association of American Colleges and Universities and with two other statewide civic learning initiatives in public higher education in Virginia and Maryland.